Quitting sugar and quitting smoking have many parallels. No one tries a cigarette with the goal of sparking a lasting habit: It begins with an initial and seemingly innocent but ultimately dangerous choice, which then leads to a pattern, which paves the way for a habit. So why are these “entrenched” habits so hard to break when the idea and process of overcoming them are quite simple? 1. Call on a time before you relied on your habit as a coping mechanism. Often just thinking about cutting out those comfort foods or strategizing about how not to overeat brings an inner fear or aversion to the surface. Smokers feel the same way when they think about quitting. I just won’t be able to get through the day without it! There’s no question: It’s overwhelming. But I encourage you to stop and think about this: There was a time in your life when you didn’t think about food constantly or didn’t smoke. While hitting up the candy jar at work may be a quick fix, do you feel like sugar has made you an intrinsically happier person? Probably the opposite. You were happier and more content without having had to rely on anything external. Just like you were able to survive at that time in your life, you can survive without it now. In fact, you will improve your health, state of mind, and confidence. Hold that time in your mind’s eye and let it remind you of your strength. 2. Watch the narrative around your cravings. By now we all know that nicotine is addictive. 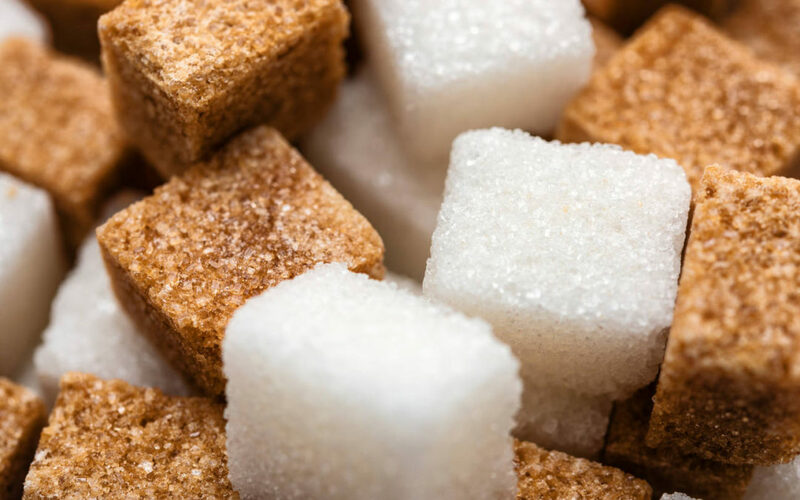 According to many health experts, sugar is even more addictive than cocaine. There is a wave of relief that undoubtedly comes with the first two bites of a cookie or first two puffs of a cigarette, but after that, the amount of enjoyment decreases. Afterward, you may feel physically sick, and emotionally you may feel guilt, regret, or failure. When we give into a craving, we are actually reinforcing the craving and the illusionary need for more of it. Right before you “give in,” ask yourself: Why am I craving this? Maybe go to the next step and write it down. Sometimes by taking a closer look at the narrative around our cravings we can begin to take a look at the root issue. Habits and cravings are complex, as they reach beyond the physical and into the emotional. Remember this: Only you have the power to stop the cycle, and it comes from within. 3. Decouple the habit from emotion. Besides the physical addiction, there is a mental blueprint: an interplay between the habit and the subconscious mind. After time, holding a cigarette and lighting it, or eating ice cream after a long hard day, is associated with positive feelings. Without judgment, ask yourself what is really making you feel better. Is it the ice cream, or is it the 10 minutes of alone time that the ice cream affords? Often we rely on our habits and addictions to give ourselves something we’re not getting or we don’t think we’re capable of asking for (like a 10-minute break … no wonder cigarette breaks were so popular). When you remove the addiction, you decouple the habit from the emotion. Of course, take heed: It’ll require time to start and maintain a shift in your habits and perceptions, but once you change your actions and realize the truth—that your habits are helping to heal part of you that’s undernourished—it is only a matter of time before you can start caring for yourself in the way you need. Experience a shift in your mind, and habits will follow. 4. Release “willpower” and change your desires instead. Take back your power by recognizing that you’re the one in charge. If you want to make a change, you can make a change. While it may feel like you physiologically need that piece of chocolate or cigarette, the fact is that you’ve decided to make a change and live differently. Remember your decision: You don’t want it! When you realize this, you are not fighting against yourself. This is why many attempts to quit often don’t stand the test of time. When we change our perception and realize that we don’t really “want” or “need” to eat this way or to smoke, we are not fighting against a stronger will to continue. Your goal for quitting should be that you want to achieve true freedom from the habit, and it must come from yourself, not from the external. It is time you put yourself first. This way you are not relying on willpower, which waxes and wanes with our moods. 5. Be patient with yourself, and trust. Any pain or nervousness experienced after quitting is the short-term physical addiction leaving your body. Recognize the discomfort as a growing experience, and honor it. It’s the result of changing your body’s chemistry and it means progress. Some days will be easier than others. Be patient with yourself and remember you are now returning to your natural way of life and freeing your mind and body from your crutches. Quitting a bad habit is about empowering yourself and learning to trust yourself. Sometimes it seems like habits develop a life of their own, especially when we’re using them to cope with stress, anxiety, or other difficult emotions. Your thought patterns and actions will follow your decision to make a change after you truly change your mindset.